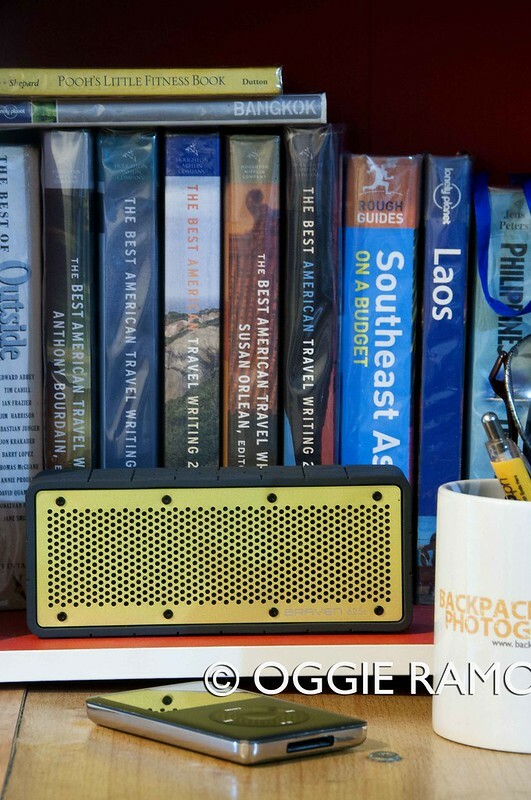 The Braven 625s sat on my desk for two days before I can take time from work to tinker with it. But once I heard the "brick" as I would love to call it, I got hooked but that's getting ahead of the story. Ease of use. I usually have this habit of ignoring the instruction manual not unless absolutely necessary and this occasion is no different. I just want to set it up quickly so I can listen while I work, the better to test how easy it would be to use right out of the box. The control panels on the left and right sides are fairly easy to understand and straightforward. Pairing the device is a cinch -- it showed up immediately on my Mac Mini (nicknamed OgMini), iPad (aka OgPad) and laptop (the OgBook). Would it work as fuss-free with my aging Nokia N8 mobile phone? No prob. Tethering it to a non-Bluetooth device (in this case, my iPod Classic) is also fuss-free with the 3.5mm cable that comes in the box. Build. Going back to the outdoors will have to wait for my sked to ease up which would take quite a while after the Christmas and New Year holidays but I have no doubt the rubberized exterior will cushion accidental spills and bumps. Size and heft: Narrower than my regular iPad's width and weighs next to nothing (11.6 oz). Slim profile would fit nicely into my cramped backpack. Sound quality. In a word - robust. 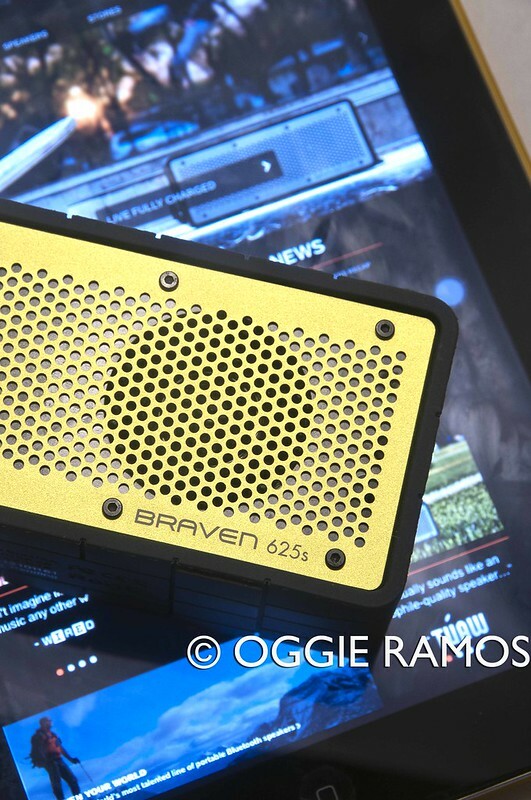 I guess it's the brick-like cabinet that gives the Braven 625s the oomph when it comes to handling bass-heavy beats -- my favorite speaker test music of Chicane's "Halcyon". Could be a bit shrill and "treble-y" at times (specially at near to max volume levels) but nothing that tampering with the iTunes player equalizer settings cannot solve. Impressive room-filling sound for its size. Perks. 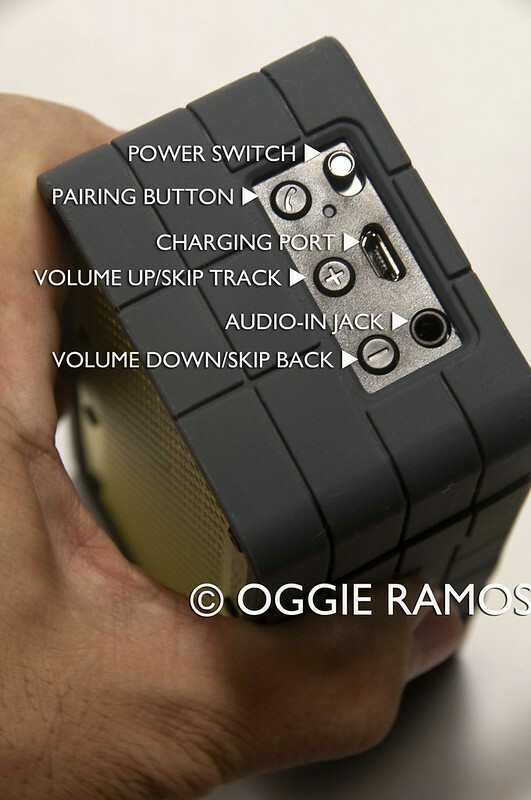 While not cheap (SRP: Php5,950), this 3-in-1 hybrid transforms into a speakerphone and powerbank. The speakerphone feature mutes the music when you press a button to receive an incoming call while a built-in microphone lets you talk into the box without having to pick up your phone. 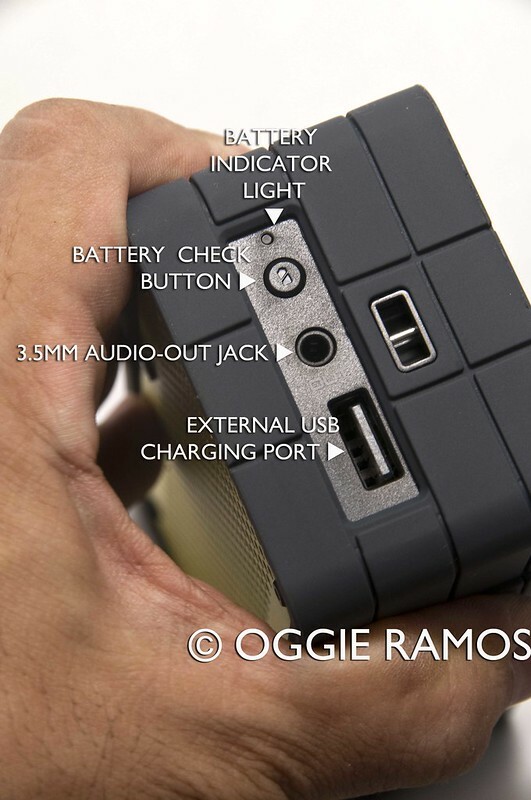 The powerbank feature, on the other hand, gives you up to 90% charge for your smartphone (1750mAh battery limits this feature to 1A phones/devices) -- handy when you're outdoor away from AC power sources. There's even a light that plugs into the USB port, useful for lighting up the tent. What's that blinking light? There's a battery indicator light that flashes white when fully charged, red when you need to plug this thingamajig into an outlet or laptop for recharging. Looks. I may call it a brick but it's one handsome brick. IMHO, the grille gives it a retro vibe while the rubber sealing harmonizes well with my black iPad and grey iPod Classic. Wouldn't look out of place on my shelf but considering its rugged built, it will look at home at a camp-out. Minor quibbles. Apart from the shrillness at max volume level, the up and down buttons on the right side panel do double duty (Volume up/press 3 sec to Skip track, Volume down/press 3 sec to Skip back) which could've been dedicated buttons. What's in the box. There's a multi-voltage adapter, lanyard (great for either carrying or hanging the speakers on a tree when you're outdoors), 3.5mm jack for daisy-chaining your Braven to another Braven or to a non-Bluetooth device, a weatherproof carry case that looks very much like a drybag complete with a D-ring, handy flashlight that plugs into the USB port, and a USB-Micro USB cable. Disclaimer: Product provided for review purposes. However, the comments are the author's own opinion.